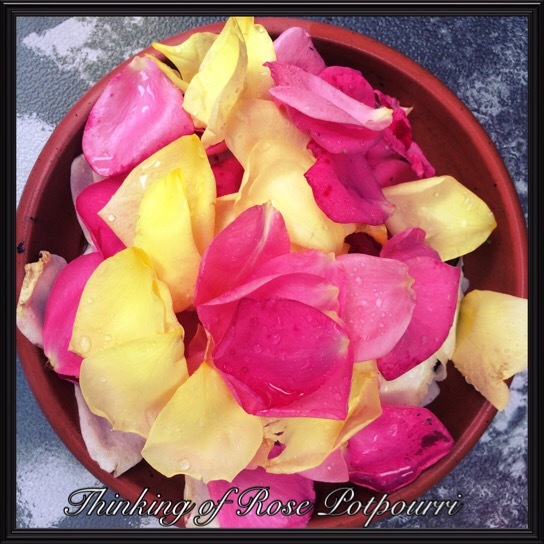 I have just finished a novel ‘Cankered Roots’ in which the main character grew up collecting fallen rose petals each summer morning with her mother. 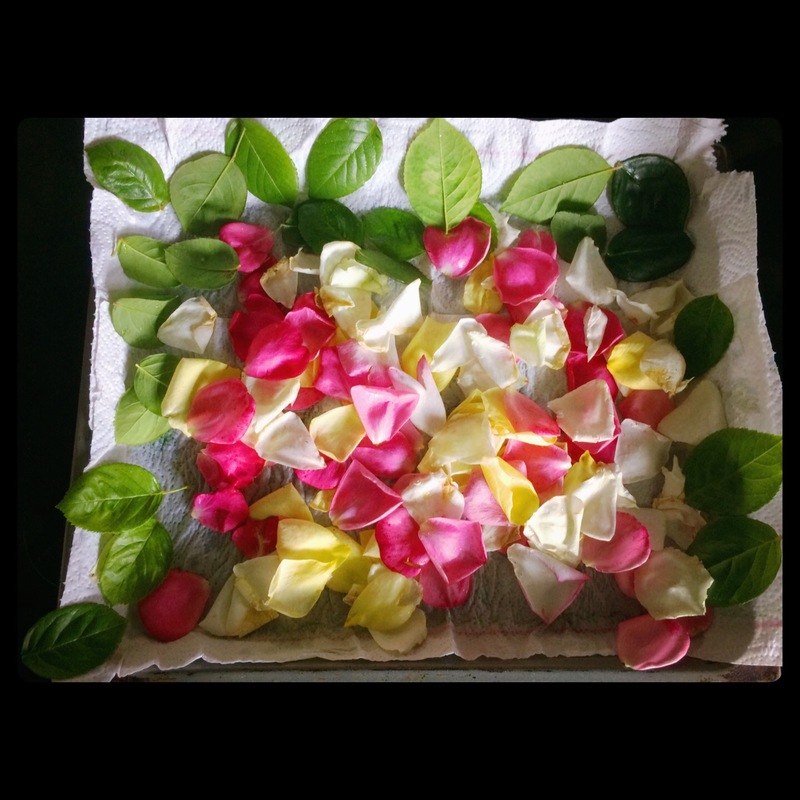 Her mother did this with her to make potpourri to ‘remember the smell of summer in winter’. What a fantastic idea! Instead of throwing literally bucketfuls of spent roses away each week- they could be put to good use. 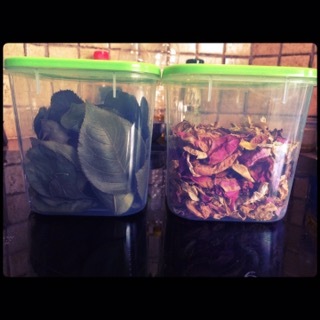 So a quick look on YouTube showed me that the leaves are a valuable component in making potpourri and different varieties have their individual scent. As ‘idyllic’ as picking rose petals off the ground sounds, I quickly found it’s impractical especially if there has been rain recently. So I collected straight from the bush if I could see them about to die. If the stem has finished all the buds then I also trimmed the whole stem off in order to get the leaves (discarding any discoloured/ diseased leaves). Being an impatient person and also given the damp, humid weather, I thought I would speed up the drying process by putting it into the oven on a low heat around 50 degrees. The smell every time I open the oven door is gorgeous! Previous Previous post: About to Bloom!